A travel blog is very often written by a traveler. This travel blog is written by a local. My name is Rune Bjerkli. As many people in the north, I have personal ties to the whole arctic area. I live in Northern Norway, I have ancestors coming from Finland, Sweden, and most likely from Russia as well. I got my first university degree from Indiana University, Bloomington, USA, and I am currently working on my MBA at the University of Tromsø. My knowledge of the Arctic region is extensive after decades of travelling and working in the area. According to a survey from the 1990s, four out of five Midnight Sun visitors traveled cross border. These are old, but enduring facts. Unfortunately, local tourist boards promote Finland, Sweden, Russia and Norway separately. Fortunately, we are presenting the land of the Midnight Sun and the Northern Lights as one destination. So, you can pick your moment in this very unique part of Europe, with great certainty. 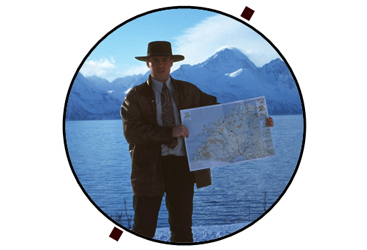 In this blog, you can skim to gems about the people, nature and life above the Arctic Circle. One category: Roadumentaries, will be a series of documentaries along interesting roads in the north. The very top, North Cape (Nordkapp in Norwegian), is a natural destination for many travelers. In time, you can decide what road suits you to and from the northernmost point. Thus, the name of the website and blog is VisitNordkapp.no. After all, the journey is as jolly as the destination itself. Did you know that the northernmost point isn’t Nordkapp, but a top hiking destination called Knivskjelodden? More about this in a future blog post. Please feel free to make comments, send an email with a special enquiry, or even make a personal phone call. My cellular phone number is (+47) 901 444 67, my skype name is visitnordkapp. Hello, Opera is now working, thank you for your advice.